Physiotherapist Jess Menzies will join us for SMA NT’s June Professional Development Series to discuss common sporting injuries in children and adolescents. How active are our kids? Participants will also have the opportunity to engage in some practical applications for managing these injuries, and any questions from the audience are most welcome. Jess was born and bred in Darwin and loves the tropical city! She is an extremely experienced physiotherapist with over fifteen years’ experience. Since graduating, she has gained a wealth of experience working both locally and in the UK. 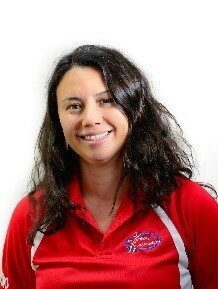 She has covered physiotherapy with NT netball teams at national championships and with NTIS athletes. She also has occupational health experience having practiced on mine sites treating various work related injuries. Additionally, she has done an extensive amount of courses in focusing on the assessment and treatment of musculoskeletal injuries. When she’s not at work, Jess enjoys spending time with her family, fishing and travelling.